What is a contingency fee case? What is a “No Fee Guarantee” that I saw on TV? Almost every attorney in Alabama and Mississippi who represents Plaintiffs in personal injury, accident and wrongful death cases offers a “contingency fee” payment arrangement. This simply means that the law firm will not charge you a fee unless the firm actually recovers money on your behalf. This is what is known as a “contingency fee” – the lawyer’s fee is “contingent” upon the lawyer actually recovering money on your behalf. Generally, a lawyer’s fee under a contingency fee agreement will be a fixed percentage of the total recovery that is actually made and recovered on your behalf in the case. If the attorney does not collect any money on your behalf, the attorney does NOT receive a fee and you are NOT required to pay your attorney a fee for the work that was performed. 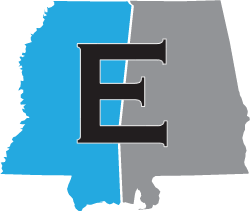 A “No Fee Guarantee” that is regularly hyped on TV commercials in Alabama and Mississippi is nothing more than a statement that the firm represents clients on a contingency fee basis. That’s it – nothing more. Most all attorneys that represent injured plaintiffs will offer this type of representation. The Estes Law Firm represents clients on a contingency fee basis. This allows clients that have been injured in Alabama and Mississippi to pursue claims against the at-fault parties without having to put any money up front to pay for a lawyer. The Estes Law Firm regularly handles claims against insurance companies, at fault drivers, Eighteen-Wheeler companies, and corporations on a contingency fee basis. Also, the Estes Law Firm accepts some commercial litigation, complex litigation and business litigation matters on a contingency fee basis. This allows small businesses with a need for an experienced lawyer to go after bigger corporations without having to pay the high hourly rates usually charged by large law firms that handle this type of litigation. Prior to forming The Estes Law Firm, our managing partner, Chris Estes, worked for large law firms for 16 years and billed time to corporations and insurance companies on an hourly basis. The Estes Law Firm has designed fee arrangements so that we can efficiently handle some commercial disputes, complex matters and business disputes on a contingency fee basis, meaning a small business can pursue a claim against an insurance company, larger corporation or other business without having to pay money up front. Not every legal matter or dispute requires that you hire a lawyer and, contrary to what you may have seen on TV, you do not need a lawyer in every car accident. If you have suffered no physical injuries and minor damage to your automobile, you may be better off negotiating your settlement with the insurance company on your own. However, if you suffered personal injuries or received any medical treatment, you likely need a lawyer to protect your interests. If you or a family member were injured in an accident, you will likely have suffered time off from work, pain and suffering, inconvenience and other damages that a lawyer can help you calculate and demand from the at-fault party and insurance company. There will likely be hospital liens, insurance liens and other claims made against any settlement or proceeds that are offered to you. You should consult with an experienced attorney to help you work through these issues and get fair compensation for your injuries. The Estes Law Firm offers a free initial car accident consultation. What questions should I ask before I hire an attorney? Almost all lawyers handling personal injury and wrongful death claims in Alabama and Mississippi will offer a free initial consultation. This initial meeting, whether by phone or in person, should be used to determine not only if you want to go forward with your claim but whether you should go forward with this particular lawyer and law firm. In a serious case, hiring the appropriate lawyer can be one of the most important decisions you make. Length of time in practice is not necessarily an indicator that you will receive better services, but you need to know the experience level of the lawyer you are actually hiring. Only then can you make an informed decision as to whether this is the right lawyer and law firm for your case. Who will actually be handling my case? A lawyer? This is one of the most important questions you will ask of a potential lawyer to hire. Be direct and be firm when asking this question. Often times, law firms advertise and tout the experience of certain lawyers, but shortly after signing up you are passed on to a brand-new lawyer or, even worse, you are relegated to case managers and other non-lawyers for the remainder of your case. You need to know who the actual lawyer is that will be working on your case so you can evaluate whether that lawyer is the right lawyer for you. What is the lawyer’s experience with insurance companies and knowledge with how those companies handle claims? Damages in personal injury and wrongful death cases are almost always paid by an insurance policy maintained by the at-fault party. This is the function and reason people buy insurance. You need to inquire and assess what experience any potential lawyer has with dealing with insurance companies. This is a very important component of how and when your claim will get resolved. What type cases does the lawyer handle? You want to make sure the lawyer and the law firm actually handle the type of cases that you need help with. What is the trial experience of the lawyer and law firm? You need to inquire and evaluate whether the lawyer and law firm are only interested in signing your case up and quickly settling, or whether the lawyer and law firm is interested in fully representing your interests to obtain maximum compensation either by settlement or trial. Inquire of the lawyer how many cases have actually been filed, tried, etc. Know the experience level of the lawyer prior to hiring the law firm. If an insurance company knows that the lawyer you have hired is unable or unwilling to file the case and/or take it to trial, the insurance company will not pay the full value of the damages sought. The answer to this question is based on what is referred to as your “damages” – what your injuries have cost you monetarily, mentally, emotionally, physically and, depending on the facts surrounding your injury, whether the conduct of the at-fault party should be punished with punitive damages (i.e. drunk driver, reckless driving). To fully and adequately asses your past damages, current damages and any future damages, an attorney will need to obtain your medical records, meet with witnesses, evaluate your medical treatment and any permanent disabilities, review the physical evidence, investigate the conduct of the at-fault party and several other factors that impact the overall value of your case. This type analysis cannot be performed in an initial meeting and any lawyer that makes promises to you in an initial meeting of how much compensation they can get for you should be viewed as suspect. It is important to understand that under Alabama and Mississippi law once you execute a release of your claim, you are forever barred from reopening that claim. Therefore, you must be certain that you have fully considered all of your damages prior to executing a release. If you are uncertain about your damages and what your claim is worth, talk with a lawyer at Estes Law Firm for a free initial consultation. Every case is different and involves different facts and circumstances. In large part it depends on your medical care and treatment, and when your treatment is complete. You cannot fully evaluate your claim and damages until you know the extent of your injuries. It also depends on how motivated the insurance company is to resolve your claim. If your damages are significant and there is limited insurance, the insurance company may want to settle quickly. It also depends on whether there are additional at-fault parties that can be pursued for your damages. Sometimes it makes sense to reach an early resolution and sometimes it makes sense to fight it out. It all depends on the case. If an attorney promises you that your case can be resolved within a certain time frame to get you to sign up with the law firm, you should be skeptical. Also, if an attorney is pressuring you to settle your claim, you should be concerned. Should I accept the Insurance Companies offer? Insurance companies like to advertise that they resolve and settle claims fast. However, it is important for you to understand that Insurance Companies are for profit corporations – their business model is to make money, NOT to pay you money. After being involved in a serious accident or suffering a personal injury, insurance companies will often offer you a quick settlement in some amount. Often times the insurance adjuster will appear to be deeply concerned about your situation and then offer you a low amount to quickly resolve the case. However, if you were injured or suffered damages, you should not accept a settlement until you have completed your medical care and treatment. You need to fully understand the extent of all of your injuries and any permanent impairment to your body. You also need to fully evaluate ALL damages that you have suffered (pain and suffering, lost time from work, bodily impairment, etc. ), and demand this compensation from the insurance company. If you accept the initial offer from the insurance company and execute a release, you are barred forever from obtaining any additional money for those injuries. If you have suffered only minor or no injuries and no medical treatment, you may be better off settling the claim on your own. But if you suffered personal injuries and had to seek medical treatment, you should consult with an experienced attorney before executing a release of your claim. How long do I have to file a lawsuit? If I don’t file a lawsuit, will my claim for damages be barred by the statute of limitations? Every state has specific statutes of limitations that govern the time periods in which various types of claims must be filed. If a claim is not filed within the mandated time periods, the claim will be barred as a matter of law. Generally, the statute of limitations for personal injury cases in Alabama is two years from the date of the accident or event giving rise to damages. Under certain circumstances and in certain cases, that period can be shorter or longer. The analysis of exactly which statute of limitations would be applicable to your claim should be discussed with an attorney as soon as possible. It could very well be that your damages are compensable under different theories of law that have different statutes of limitation. If you believe you have a claim, it is very important that you speak with an experienced lawyer as soon as possible to evaluate and advise you as to the applicable statute of limitations. Even if you do not wish to pursue a claim at the time of the initial consultation, you should consult with an attorney and determine the deadlines so you know the time periods by which you must initiate an action. What should I do after a car crash or an eighteen-wheeler crash?